Car pollutants cause immediate and long-term effects on the environment. Car exhausts emit a wide range of gases and solid matter, causing global warming, acid rain, and harming the environment and human health. Engine noise and fuel spills also cause pollution. Cars, trucks and other forms of transportation are the single largest contributor to air pollution in the United States, but car owners can reduce their vehicle's effects on the environment. Car pollution is one of the major causes of global warming. Cars and trucks emit carbon dioxide and other greenhouse gases, which contribute one-fifth of the United States' total global warming pollution. Greenhouse gases trap heat in the atmosphere, which causes worldwide temperatures to rise. 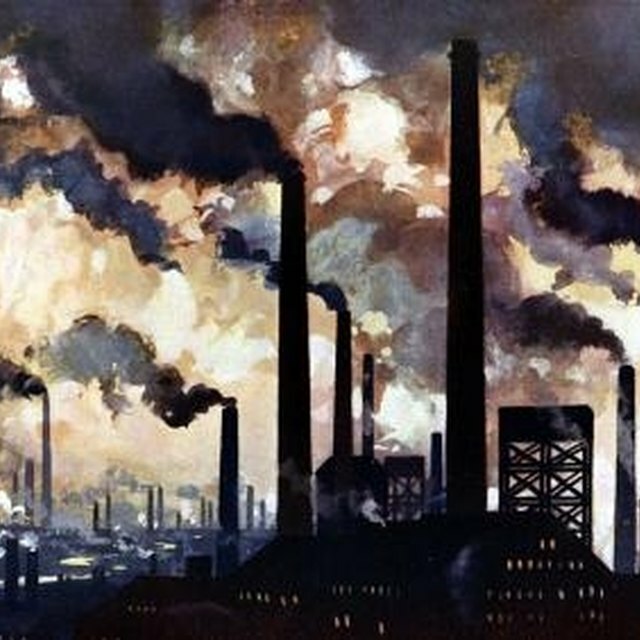 Without greenhouse gases, the Earth would be covered in ice, but burning excessive amounts of fossil fuels, such as gasoline and diesel, has caused an increase of 0.6 degrees Celsius, or 1 degree F, in global temperatures since pre-industrial times, and this will continue to rise over the coming decades. Warmer global temperatures affect farming, wildlife, sea levels and natural landscapes. The effects of car pollution are widespread, affecting air, soil and water quality. Nitrous oxide contributes to the depletion of the ozone layer, which shields the Earth from harmful ultraviolet radiation from the sun. Sulfur dioxide and nitrogen dioxide mix with rainwater to create acid rain, which damages crops, forests and other vegetation and buildings. Oil and fuel spills from cars and trucks seep into the soil near highways, and discarded fuel and particulates from vehicle emissions contaminate lakes, rivers and wetlands. Particulate matter, hydrocarbons, carbon monoxide and other car pollutants harm human health. Diesel engines emit high levels of particulate matter, which is airborne particles of soot and metal. These cause skin and eye irritation and allergies, and very fine particles lodge deep in lungs, where they cause respiratory problems. Hydrocarbons react with nitrogen dioxide and sunlight and form ozone, which is beneficial in the upper atmosphere but harmful at ground level. Ozone inflames lungs, causing chest pains and coughing and making it difficult to breathe. Carbon monoxide, another exhaust gas, is particularly dangerous to infants and people suffering from heart disease because it interferes with the blood's ability to transport oxygen. Other car pollutants that harm human health include sulfur dioxide, benzene and formaldehyde. Noise from cars is also harmful, damaging hearing and causing psychological ill-health. There are several ways that car and truck owners can reduce the effects of car pollutants on the environment. Old and poorly maintained vehicles cause most pollution from cars, but electric, hybrid and other clean, fuel-efficient cars have a reduced impact. When buying a new car, check the fuel economy and environment label. High ratings mean low pollution levels. Maximize fuel economy by removing all unneeded items, such as roof racks, and driving steadily, rather than accelerating quickly and braking hard. Keep your vehicle well-maintained, with regular tune-ups and tire checks, and leave the car at home whenever you can. Walk, bike or use public transportation when possible. Green, Jenny. "Effects of Car Pollutants on the Environment." Sciencing, https://sciencing.com/effects-car-pollutants-environment-23581.html. 13 March 2018.